"The next generation needs to see people that are like them on their screens, people that represent who they are and where they have come from." 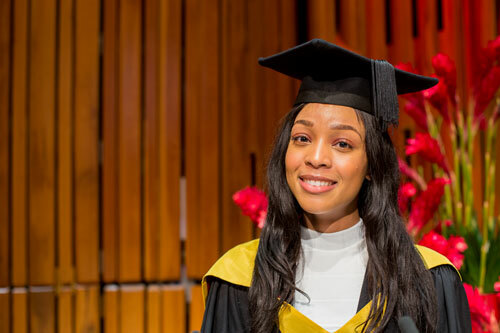 Student speaker LaToya Harding, (MA Financial Journalism, 2018), reflects on her journey at City and diversity in the media industry. The Birmingham native who graduated from City with a merit in Financial Journalism notes her passion for writing as something which has been with her since childhood, where she was inspired by the works of Roald Dahl. Now a Business Reporter at The Daily Telegraph, LaToya admits that she is truly reporting in the thick of it. “When I applied to study Financial Journalism at City we had just had the US Presidential election, Trump was elected into office, and the outcome Brexit referendum vote was sparking uncertainty throughout every industry in the country. 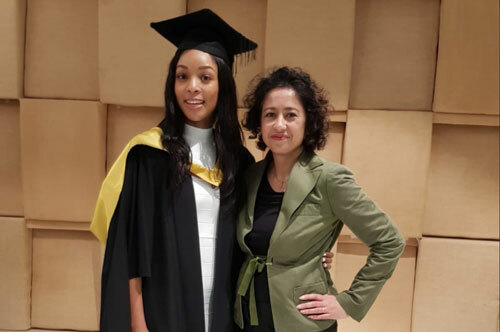 For her exemplary efforts, LaToya was selected as student speaker to deliver a speech in front of honorary graduate, Samira Ahmed, and her School of Arts and Social Sciences classmates. City was the perfect place for LaToya to develop her talents. “I already studied accounts and finance for my undergraduate degree, and worked as a company director prior to starting at City, but what I really wanted was an insight into journalism and how the media sector works. “I had a desire to write and do something creative with my business knowledge and I knew the course at City would be the stepping stone I needed. “By enrolling on the course I was able to snap up two great placements during the year - one at a financial news start up and the other at The Times. Looking at the wider media sector, LaToya admits that improvements must be made to ensure all voices are heard. “Similar to any industry, representation is so important. The next generation needs to see people that are like them on their screens, people that represent who they are and where they have come from.